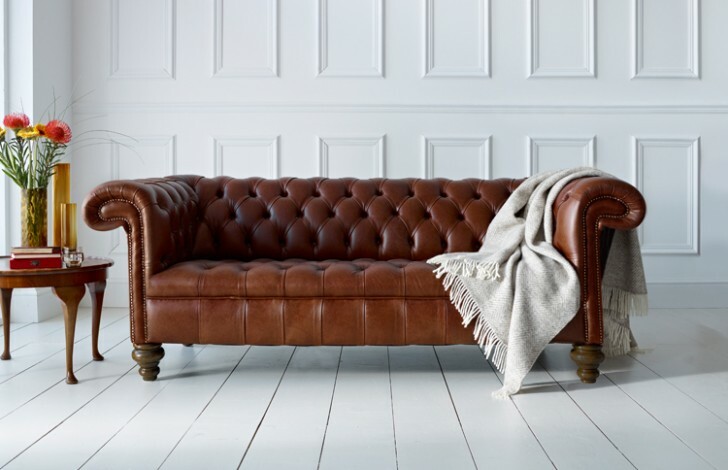 The Berwick Vintage Leather Chesterfield sofa is handcrafted in our Manchester factory by our highly skilled craftsmen. This enables us to ensure that this quality leather sofa is able to last the length of time and will look its best for years to come. 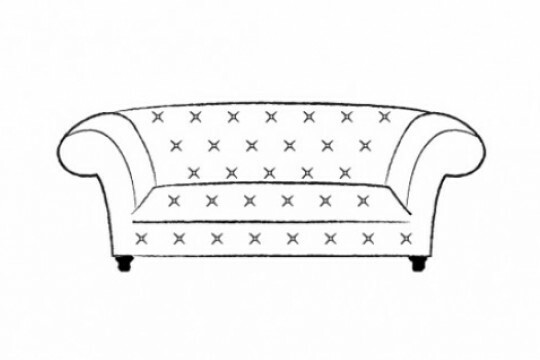 It is made from solid, seasoned beech wood and individually placed serpentine springs and is robustly engineered to ensure your sofa will be cherished for generations to come. 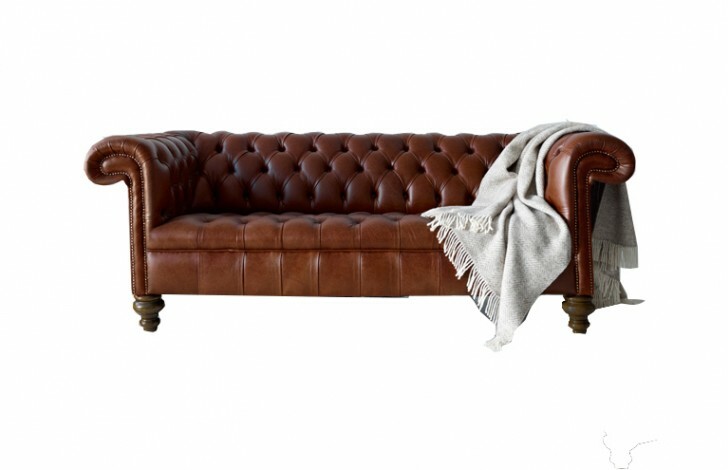 This quality Vintage Leather Chesterfield sofa can be made from a variety of different leathers that you can choose from with various styles including: Antique leather which has a two tone finish; Full Grain Leather which is treated to provide a robust finish; Old Vintage Anilinie Leather which bears all the inherent character and charm of the natural hide; Premium Aniline Leather which provides a supple and soft finish. You can always request a sample from our collection with our free sample service, allowing you to compare your leather with your current furniture alongside receiving a brochure to your home. If you want to make an enquiry or have any questions don’t hesitate to call us on 0161 737 1600 our friendly sales team are available 7 days a week. 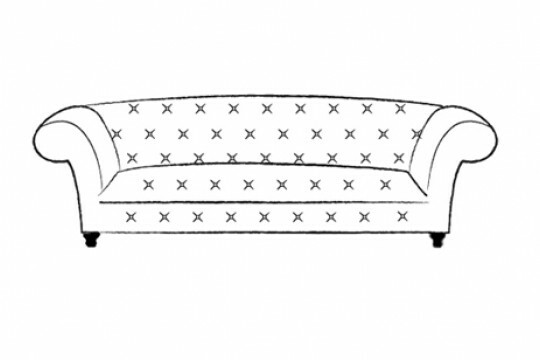 I recently purchased two, 3 seater Berwick sofas in Vintage black leather. They are a real statement piece. They are firm, rather than squashy, but actually, they are good for your back. Initially, I had bought 2 chairs, but my advice would be that they need a very big room to look right as they are quite dominant. 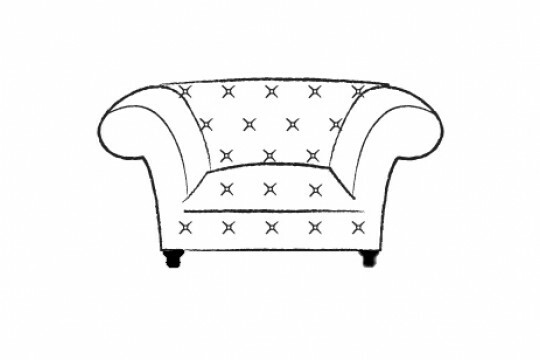 Dealing with the Chesterfield Company has been great. I discovered a mark made by an upholster's pen and they offered to send a technician from Manchester to remove it, rathe than me having to do it myself. As it was, it simply wiped off. Excellent customer service. Also, the delivery company they use, Edmondson's were first rate, very courteous and professional. I'd thoroughly recommend buying form this company.